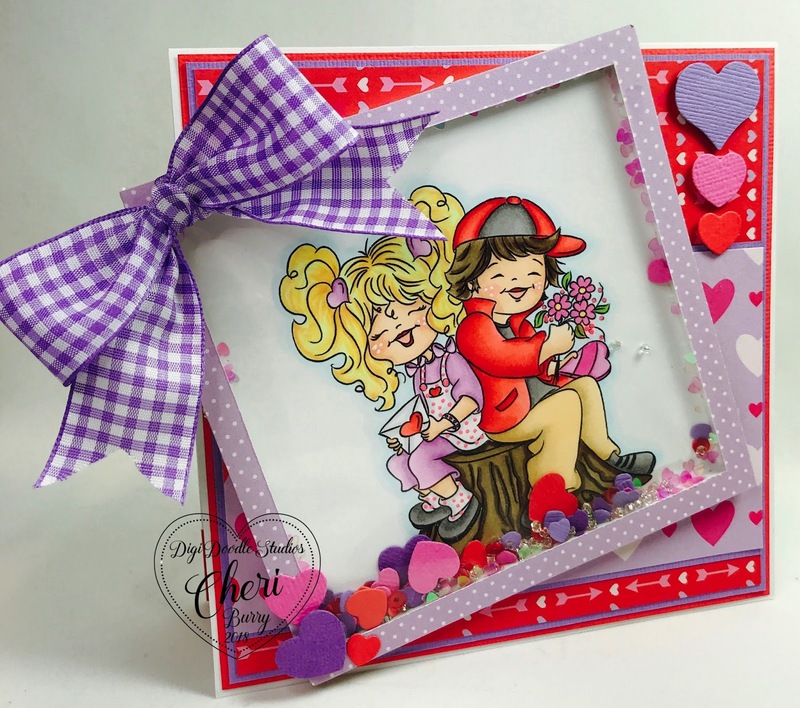 CheriB Designs: DDS New Monthly Challenge! Happy February first!! It's the beginning of a new month and that means a new Challenge over at Digi Doodle Studios Blog! 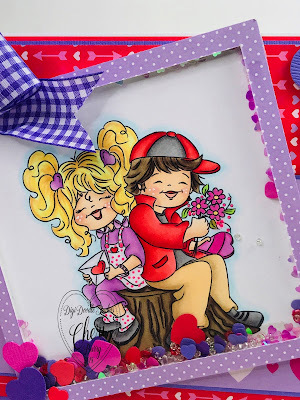 The theme this month is "Crazy Little Thing Called Love"! I thought this adorable digital image from Digi Doodle Studios called "Secret Crush" was perfect to fit in with the Challenge theme! I just love the thought of young love, secret crushes and Valentine's Day! This cute pair sure look like they are smitten with each other! I decided to make a Shaker Card this time and the Queen & Co. Pop Up Foam kits make it super easy! Just adhere the foam, add your shaker elements and add the acetate! Easy Peasy! I am using paper from the American Crafts Be Mine 6x6 collection. I cut out a bunch of heart shapes to add as part of the shakers bits as well as adding some sequins and seed beads. 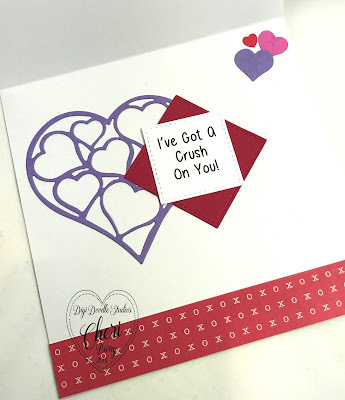 I decorated the inside and added a sentiment I created on my computer to go with the image named "Secret Crush"
Hope you'll play along with us this month in the "Crazy Little Thing Called Love" Challenge! Make sure you head on over to the Blog to see what the rest of the Design Team has created to inspire you! I have a crush on this shaker card!!! Perfect colouring and colour combo!! Another amazing make my super talented friend!